The Memorial Candle Program has been designed to help offset the costs associated with the hosting this Tribute Website in perpetuity. Through the lighting of a memorial candle, your thoughtful gesture will be recorded in the Book of Memories and the proceeds will go directly towards helping ensure that the family and friends of James and Harley can continue to memorialize, re-visit, interact with each other and enhance this tribute for future generations. It is with heavy hearts that we need to say goodbye to our parents, James and Margaret, as they have passed on to a new place. Our father was born in Youngstown, Ohio in 1926 and when he was just a wee lad, his parents moved back to Scotland. Our mother was born in Fife, Scotland in 1928. They married in 1950 in Scotland and shortly after that they moved to Youngstown, Ohio to live the American Dream. Dad was a successful parts manager at State Chevrolet. He was a great provider for our family. He loved his girls. He would take the family on long Sunday drives; picnics, swimming, ice skating, sled riding and whatever else we wanted to do. He was great. Mom stayed at home to look after us. She was a wonderful cook and homemaker. She loved crafts and painting. She also loved her animals. She was totally unselfish when it came to her children. Dad was given an opportunity to manage a parts department in Albuquerque back in 1982. So, the family made its way out west. Once he retired, they moved to Las Cruces to be closer to their kids. 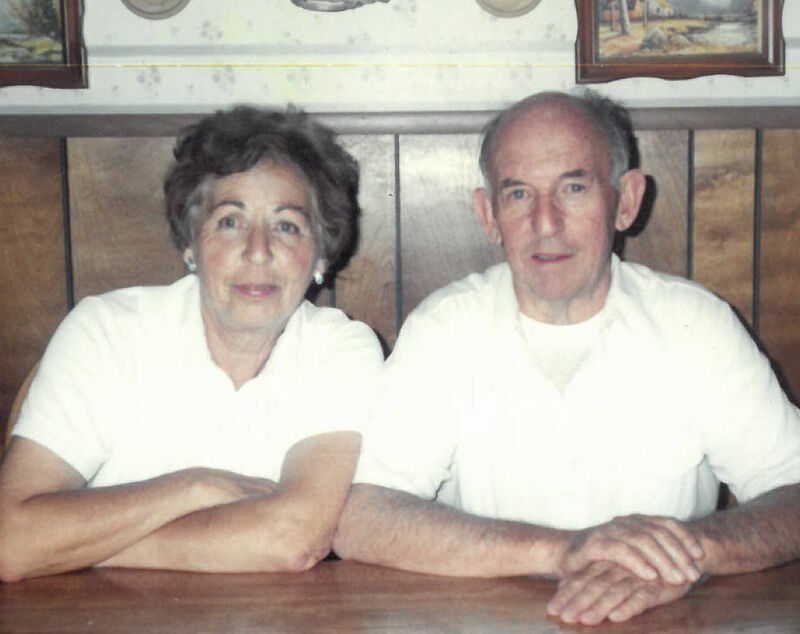 Just after their 65th anniversary; mom passed away on August 22, 2015 after a long illness. Dad remained with us for 3 more years missing mom every day. He joined her side on Wednesday, March 27, 2019. We believe it was from a broken heart. But they are together again... Forever…As it should be. We would like to take a moment to thank the staff of Casa Bella Assisted Living. Also, Julie, Janet, and Jeanette from Amber Care; for all the care you gave to our father. Jill, Joey, Sandy, Gary, Sean, Jocelyn and Tessie. To send flowers to the family of James and Margaret Harley, please visit our Heartfelt Sympathies Store.